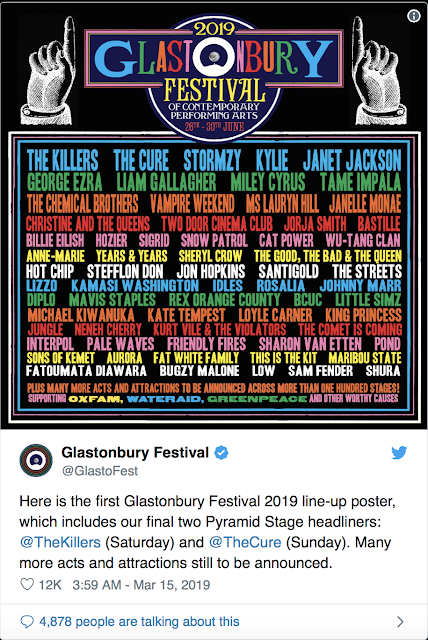 Yesterday Glastonbury released the official lineup for this year's music festival and we couldn't help but notice Janet Jackson DIDN'T have top billing [click here if you missed that]. 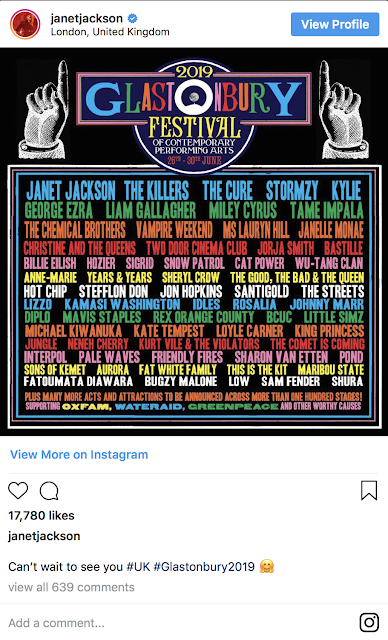 Yesterday when Janet shared the line up on Instagram she photoshopped the poster to make her name first. In the original billing Janet's name came fifth. Good for her! Sold more, out performed more than many. We all know Lauryn ain't gonna show so Miss Janet should've just photoshopped her name out of the poster. My girl was like, here fixed it for you! I ain't mad at her. Ok.. 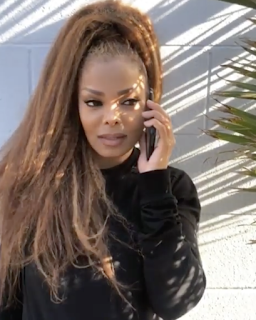 When your star has faded like Janet it's best to just withdraw - rather than make a very public, ignominious ride down - and perhaps re-emerge at a later date at a comparable status. Paula Abdul did this. When her time as a music artist was up she withdrew gracefully - rather than make a series of moderately successful/flop albums - then re-emerged as a major star on another platform. Janet seems to be unable to let go of the limelight, even as it grows dimmer and dimmer. How you know Ms. Jackson didn't make a phone call and they changed it for her. Dont disrespect that legend by saying things you havent confirmed. @11:24 anytime an artist can still sell out arenas 30+ years into their career should never stop. The legends are always in demand. Her,Mariah, Patty and all the other legends have nothing left to prove to anyone. They have dominated the charts in their time it's a goal achieved and broken many times over. They do it for their fans that appreciate and love them. If you dont wanna see her dont buy a ticket but you WILL NOT do Ms. Janet Jackson today baby. No ma'am. Let that black queen do what she chooses to without the negativity. ^^ yep at 2:04p ... no hate here.